Banter Toys & Collectibles are a leading distributor of licensed entertainment toys and collectibles in Australia and New Zealand. Established in 1988, Banter Toys have been servicing mass market and specialty retailers in Australia and New Zealand. Our head office is located in Melbourne Australia. We are the market leader in trading cards, and have a growing toy business. The company is able to offer it’s supplier partners very broad distribution beyond mass retailers due to its historical trading card relationship. The company attends all major trading card and toy industry events around the world and exhibits every year at the Australian Toy Fair. Banter Toys & Collectibles has invested in its own Distribution infrastructure, working from the same location as the rest of the Banter team. This enables the company to provide first class, efficient distribution services to retailers, in both the card and toy markets. 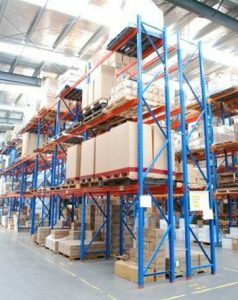 A dedicated, in-house distribution structure is a major investment on behalf of Banter’s retail customers and overseas suppliers. Some other distributors use a third party model. This is a lower cost option but does not provide the level of customer service of a Banter in-house distribution structure. Banter has a truly unique position in the Australian market. Because of its presence in both the trading card and toy markets, the company has the broadest distribution of ANY distributor. This distribution includes department stores, discount department stores, toy specialists, Australia Post, super markets, news kiosks, PNCs, speciality stores and, of course, hobby stores! Banter Toys not only services the mass market but also has strong distribution reach into the independent retail market, servicing over 1500 hobby, comic, trading cards and anime stores across Australia and New Zealand.